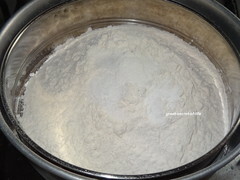 My kids love anything with plain flour. 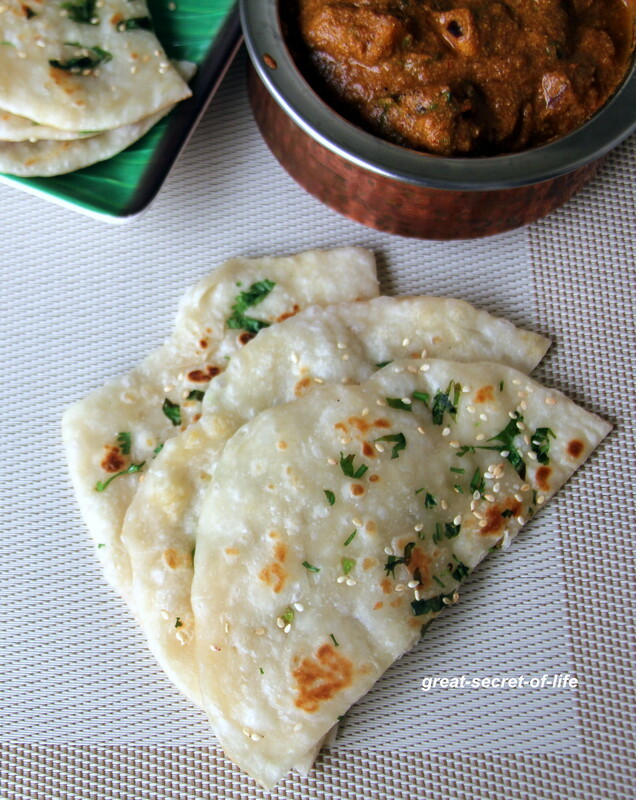 When we go out their choice is north Indian because they can get Naan, Kulcha etc.. 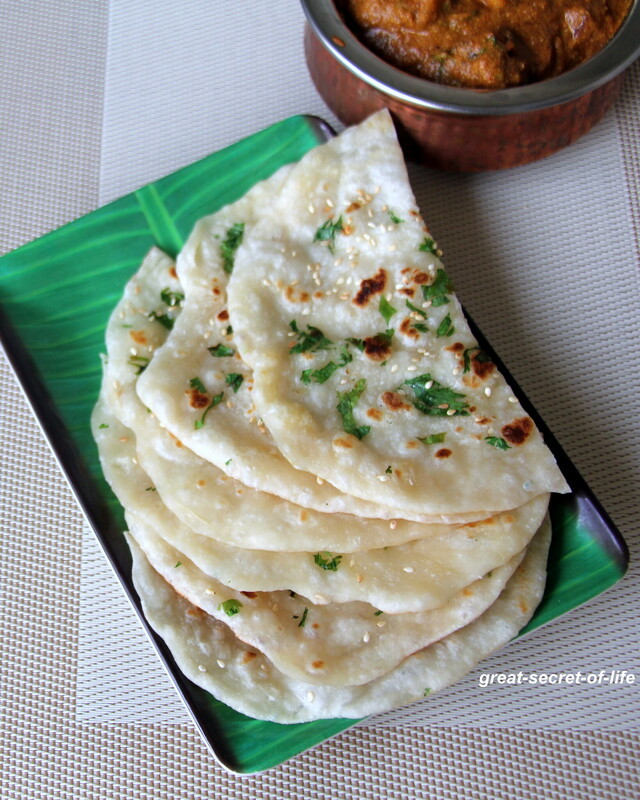 If I want to go to South Indian restaurants it must have Batura / Bhatura. 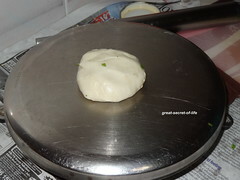 After making Naan at home they were asking for Kulcha for sometime.. It came out pretty good. 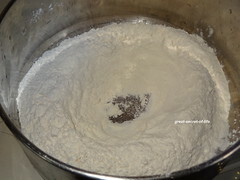 Sift together flour, baking powder, baking soda and salt. Take that in broader vessel. Make a well in the middle. 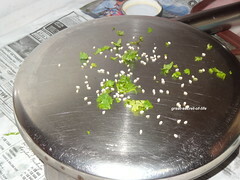 Add curd, milk, oil mix well. 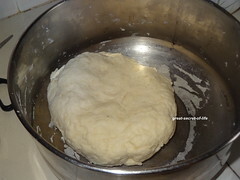 Add water and make a soft pliable dough. 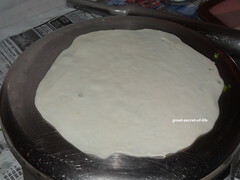 Keep it closed with wet cloth for 2 hours. 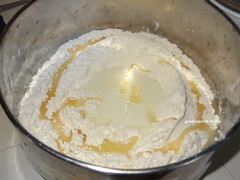 Knead together to make smooth dough. 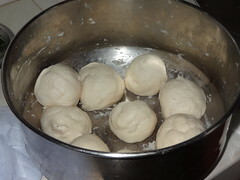 Now divide the dough into 8 equal size balls. 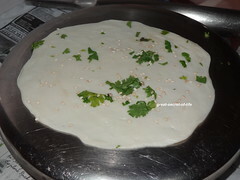 Roll them out to small roti..
Heat flat pan and when it is hot add Kulcha and sprinkle oil/ butter around it turn it over and cook. 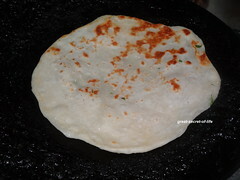 I am always a fan of Indian flatbread. This looks really tasty. 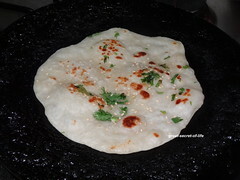 I prefer kulcha over naan, looks very nice.. Wow!! perfectly made!! looks better than the restaurant ones!! 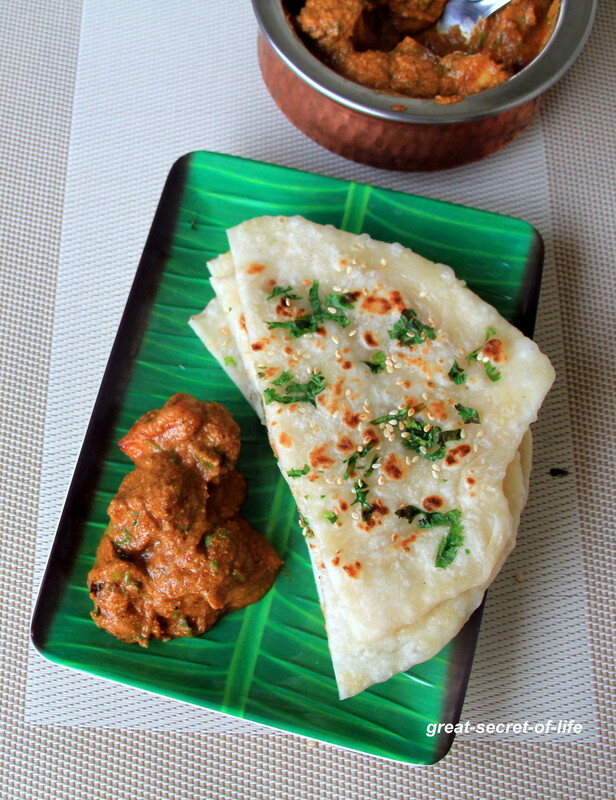 My kids love kulcha and naan too. 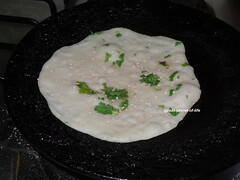 While I prefer kulcha more.. Looks so perfect..